The tea is, no doubt, the most important immaterial and cultural heritage of this giant nation, and along time has only gaining force on its concept. It is the chinese drinking for excellence, enjoyed daily, no matter where nor when. Every office and work place has its own water heating stuff. It’s always offered during business meetings (with a lid on it to prevent the water from loosing heating), by its cultural importance. On these occasions, the tea service is executed on a theatrical way, following the imperial traditions, and with extreme synchronicity. 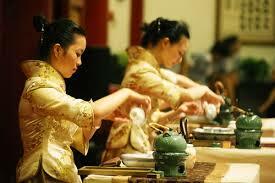 Due to that, the chinese tea ceremony (Kung Fu Cha) has become a reference when it comes to tradition and savoir-faire. The “invention” of tea is attributed to emperor Shennong, that 5 thousand years ago had drink accidentally an infusion, when a leaf of tea has fallen inside its cup of hot water. During centuries, it was treated as a medicinal drink and offered in religious rituals. Its consumption had become popular from the third century on, and during the Tang dynasty, was already one of the 7 essencial elements that a house of that period should have, together with fire, rice, salt, oil, soya sauce and vinegar. It immediately became the official drink of the erudite imperial elite. The first treaty written about its cultivation, processing and consumption dates from the year of 760, signed by Lu Yu, called “Cha Jing- The classic of tea”. 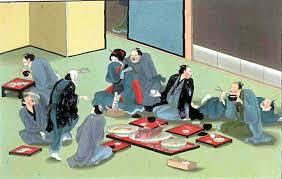 It was taken to Japan by budist monks, where had been developed a very elaborate ceremony for tea tasting as well. It then got spread all over the east asian coast, and finally reached England- where it became popular as a royal national drink. Nowadays, more than 3 billion cups of tea are consumed each day worldwide. India is the country with the biggest consumption (25,63%), closely followed by China (25%). Kenia, Sri Lanka (former Ceylon) and Turkish also have very expressive numbers on the tea consumption. 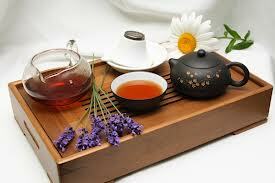 Black tea is the most enjoyed, with the huge piece of 82% of the preference, followed by green tea, with 17%. White tea and oolong tea share the preference with 0,5% each. In China, the etiquette rules say that you should show your gratitude for being invited for this ceremonies, by tapping your index and medium finger together on the table twice, before tasting the tea. The teas are originated, on its most, from one plant, Camellia Sinensis, that produces the varieties of black, green, oolong and white tea. What distinguishes them is the process of oxidation/fermentation used on the leaves. 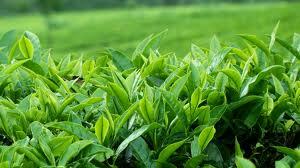 In general, teabags are produced with low quality leaves, and machine processing. 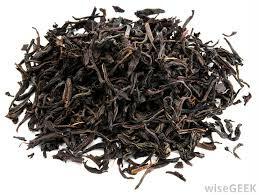 The high quality leaves are processed manually, and are intended for connoisseurs/loose tea stores. Black tea(also called red tea here): stronger tea, with more caffeine. The most famous are the indians Darjeeling, Ceylon and Assam, and the chinese Keemun. Green tea: highly consumed by its antioxidant properties, goes though a fast oxidation on the leaves, and keeps the natural characteristics of the Camellia Sinensis, such as color and intense flavour. Oolong tea (known as greenish blue tea in China): oxidation between the black and green, dense tea with a remarkable taste, most likely to reveal sweet notes in the end. White tea: originated from very young leaves, button shaped ones, that hasn’t suffered the action of oxidation or chlorophyll yet. Delicate flavour, offers even more antioxidants than the green tea. Earl Grey tea: given name to any kind of tea that is aromatised with bergamot oil, but the most commonly used is the black tea. Its first recipe in commercial scale was produced by the traditional british brand Twinings (this one carries notes of the precious Lapsang Souchong, see above). 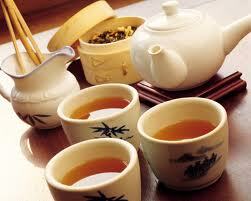 Pu-ehr tea: the most appreciated tea in China, it’s even catalogued during its production, receiving a wine status. We talk about a double fermentation and ageing tea, even reaching more than 50 years old! It is the tea of the tradicional chinese tea ceremony. Usually found in blocks (thick press of tea). Yellow te (also known as Chong Cha): high quality tea, it was the imperial court tea. Obtained through a very slow drying of the leaves, that rest until getting yellow. Highly appreciated in China, and very used in tradicional chinese medicine to deal with body heating and cold symptoms. Lapsang Sauchong tea (Fujian province): smoked black tea, dried with pine fire. Considered particularly rare, because its production is really small. Very appreciated in China and the rest of the world as well. 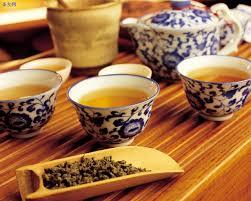 The teas produced outside China use origin region as name: Ceylon, Assam, Darjeeling, just like “D.O.C.” on wines. “Aromatic” curiosity: jasmine tea is made by landing jasmine flowers above the tea leaves ready for the oxidation process; what offers this tasty tea the remarkable scent of the flower! By the way, in China, is very common to aromatise infusions by adding rose petals, scented dry flowers and more else to the tea pot. 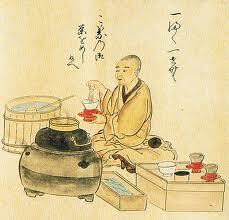 The importance of tea is celebrated during this ceremonies, evoking the spirit of peace, respect, harmony and purity. They were even part of the funeral rituals of the former emperors and their families. – technique on serving, that must include knowledge about what’s being served, and mainly, grace and delicacy on the movements. Some tips must be observed as well, like not shaking the pot when preparing the infusion, and water temperature, that must be boiling point for most of them. The most delicate teas, like Darjeeling and white, as well as the rarest ones, must receive a temperature between 80-85 celsius. Aditives like honey, milk, sugar, lemon, fruit jam are well accepted. The milk can help reducing the tannic flavour of some stronger teas, and must be used in ambient temperature and few quantity. The connoisseurs say that we must add tea to the milk, and not the opposite- that way we obtain a better flavour emulsion, avoiding the over heating. As we can notice, there is a whole world out there when talking about teas, a world of possibilities and infinite flavours. A world that evoke history, queens, emperors, royal courts, tradicional ceremonies of delicate beauty and tenderness, bringing back the golden era of chinese dynasties, with all its imposingness and opulence. As you can see, a simple cup of tea has the power of joining us all in similar feelings, bringing benefits for the body and soul. After all this, I will never face a cup of tea the same way again…try to explore and learn more about, go beyond the flavour, taste the knowledge! The opportunities are endless!! Good journey! Por que ser normal se você pode ser GODDAMNIT?